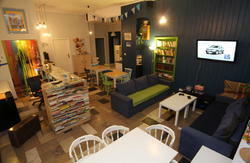 La Guitarra Hostel Gdansk is a new centrally located Hostel situated near by the Old Town. The door of our hostel stretches a great view of old harbor of Gdansk, we offer good location, nice place, perfect service, clean rooms and a nice company. 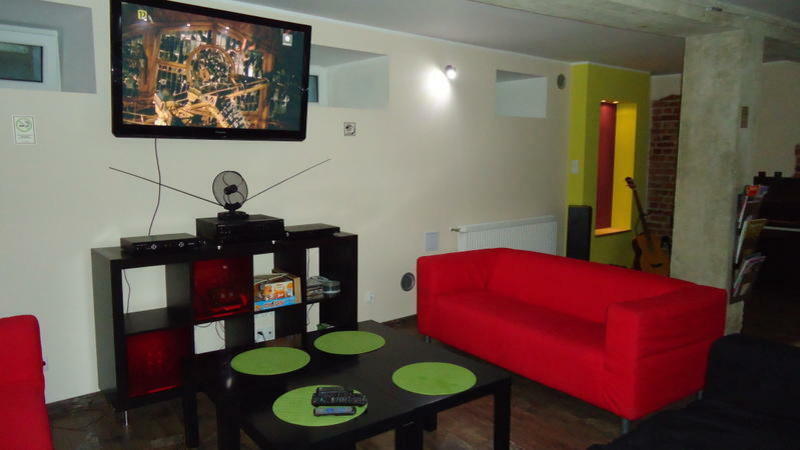 We are placed in a central location in Gdansk just 300 m from the City Center and 80 m from the Hilton Gdansk. This is a central location in Gdansk just 300 m from the City Center and 80 m from the Hilton Gdansk. - Updated calendar of gigs, events and things to do - just ask us! 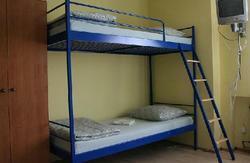 Hostel is located within close distance to the river (20m); Hilton Gda?sk (50 m) The Main Old Market Square (800m) . There are many restaurants, pubs and coffee bars around us as well. BUT linen (white bedclothes), and common computer usage with the internet access is assured. From the main train station you need to go underground across to the Cinema City Krewetka, up the steps, turn left and follow: Heweliusza Street. After about 50 m when you will see the shopping mall (Madison) turn right and go straight following: Rajska Street until you reach an info board at the central area (You`ll see a brick tower), then turn left and follow: Podwale Staromiejskie Street) go straight ahead about 500 m (after a while the name of the street changes to Grodzka Street)- we are very close to the river Motlawa 80m after you pass the Hilton Hotel. We are in the last building on the left side.